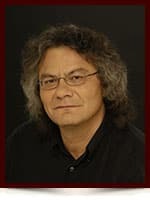 Gilbert Joseph Cardinal - Edmonton's Burial & Cremation Professionals | Trinity Funeral Home Ltd.
Celebrated Metis film maker Gil Cardinal passed away on November 21st, 2015, surrounded by loving friends. Gil was passionate about his work. Whether it was dramas (like Big Bear, Indian Summer: The Oka Crisis, North of 60) or documentaries (like David With FAS), they all had Gil’s gifted touch. His most personal film was Foster Child, where after a long search he found his birth mother. Gil will be buried alongside his mother in a private service at the Holy Cross Cemetery. I was saddened to hear of Gil’s passing on to the spirit world, may his journey continue and may he be at peace. There is a new star twinkling in the night sky. I was sadden to hear of Gil’s passing on to the spirit world the other day. I often think of him with his gentle approach and consideration for humankind. Gil had a knack to guide me in his production of My Partners My People (title of the production) “Feather of Hope” as the subject who was green in documentaries. His laid back directing certainly taught me to feel at ease in front of the cameras. Your legacy of generosity and the works you have accomplished paved the roads to a greater understanding of causes in Indigenous times of today of a worthy storyteller. Thank you Gil and Eagle Feathers to you in fondest memories. I read of Gil’s passing last night and wept, as you have. I mourn with you the passing of this gentle, decent man. I met Gil at NAIT. We attended the same classes in Radio and Television Arts, and became fast friends. We considered sharing accommodation to cut costs while we attended school, but I soon discovered that my “long” hair was not acceptable to potential landlords, so we each moved into accommodations with others who already had places to live. We often listened to music together, and chummed as friends do. I attended his first wedding to Sharon. As Gil’s career blossomed in television, and mine in radio, we drifted apart, but Gil was never far from my mind. As a friend who had been with him in days of loneliness, and poverty, and dreams, I was proud for him whenever I saw or read of some new honor bestowed upon him. I will miss him dearly. The world is an emptier and sadder place without Gil Cardinal. There will be a celebration of Gil’s life on Dec 9th from 7 – 9 PM at Metro Billiards downtown. You are very welcome to come and join with all those who loved him.